Welcome to Hotels in Hertfordshire. This website has been put together especially for visitors to this delightful part of the UK. Whether you are travelling to Hertfordshire on business or leisure we are sure that we can help you find hotel accommodation that meets any budget. The Hotels listed on our homepage are a small selection of Hotels in Hertfordshire that have been recommended by previous guests. If there is a particular location in Hertfordshire that you require please use the Town shortcuts or Advanced Hotel Search feature on the site. Close to London, Hertfordshire is served by several major motorways including the M1, A1(M), M10, M11 and M25. Hotels and Inns in Watford bookable online at very competitive prices. Whether you are looking for a deluxe hotel, a modern city centre hotel or a one, two or three star budget hotel in Watford why pay more than you have to? With a wide range of Hotels, Bed & Breakfasts, Inns and Guest Houses we will be able to provide you with the perfect accommodation for your stay. With Low Rates, Guest Feedback and easy Secure Online Booking why not browse our listings today? 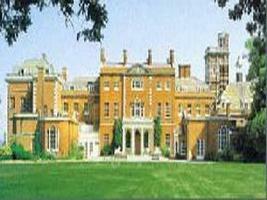 Hotels and Inns in Hertfordshire bookable online at very competitive prices. Whether you are looking for a deluxe four or five star hotel, a modern city centre hotel or a one, two or three star budget hotel in Hertfordshire why pay more than you have to? With a wide range of Hotels, Bed & Breakfasts, Inns and Guest Houses we will be able to provide you with the perfect accommodation for your stay. With Low Rates, Guest Feedback and easy Secure Online Booking why not browse our listings today?